Sylvia Green wants nothing more than to have a child. Despite fertility treatments, pregnancy eludes her. Desperate to conceive, she accepts an offer from an unscrupulous adoption agency. Crushed by a broken heart ten years earlier, Cleo Tanner walked away from her acting dreams. Her now quiet existence includes caring for her father and enjoying time with Sylvia, her best friend. An adoption agency owner who is obsessed with Cleo suggests an unorthodox arrangement. One date with Cleo and he’ll place Sylvia and her husband at the top of the adoption list. After a pregnant high school student is found murdered, the investigation leads Seattle Detective Peter Ball to the illegal adoption. The deception he uncovers threatens to destroy both Sylvia and Cleo. 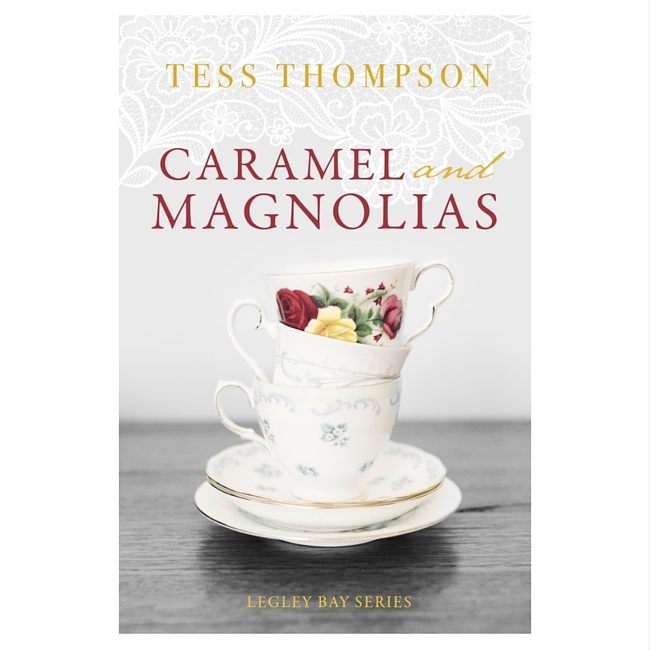 Bestselling author Tess Thompson delivers a captivating and suspenseful tale of the possibilities that await us in life and in love—if we can find the courage to get off the sidelines. A toast to friendship, motherhood, mended hearts and new beginnings, “Caramel and Magnolias” reminds us it’s never too late to reawaken the heart.